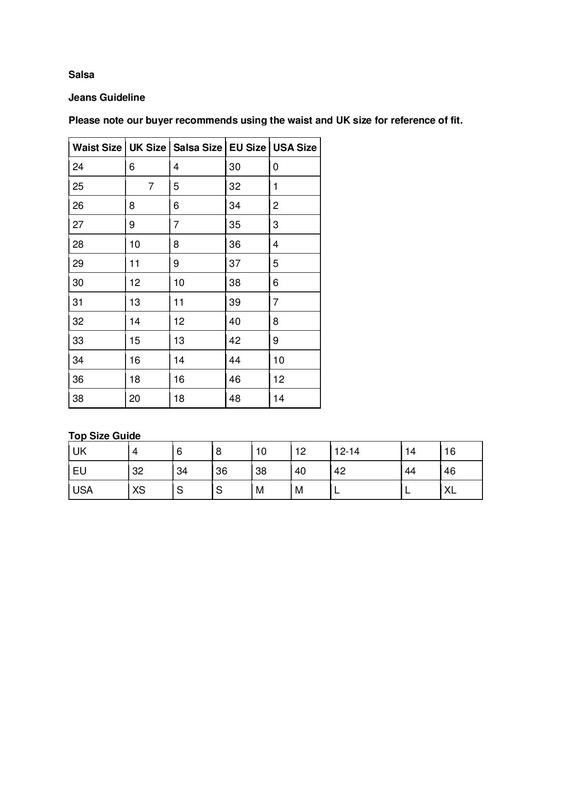 Please note our buyer recommends using the waist and UK size for reference of fit. The Salsa Secret Skinny Push In’s are designed to slim and streamline the silhouette like never before. The fit your figure perfectly and flatter your curves are super soft and have subtle fading at the front in a medium blue wash. The push-in effect slims down the abdominal area, tummy tuck effect that shapes the waist and the push-up effect that highlights the bum. They feature a classic five pocket styling, a waistband with belt loops and Salsa silver badge at the back, two silver buttons and a zip fastener.